Every act ever committed by all living things, especially sentients, leaves behind vestiges and everlasting impressions engraved into the very fabric of spacetime, like engrams in a biochemical brain. Memories. And these memories embody ideas in the mind energy of nature, spread throughout, forever entangled in ways and for reasons only the universe understands, recalibrating the internal clock of the cosmos and directing its evolution. Phase shifting. This great web of memories mingles with spacetime itself, fibers of meaning interpenetrating every strand. What sentients knew in the first nine billion years after the Big Bang--prior to the existence of our sun--about the workings of the universe may have been quite different than what we know now. Beings existed whose civilization may have been a billion or more years old. Their science could have uncovered mechanisms and principles that we may never know, a depiction, a Standard Model complete and unified, explaining everything. Consider what was probably lost when the library at Alexandria was burned to the ground. Perhaps, those implanted engrams of an ancestral universe--our progenitor--are drawing us to them, secrets disclosed one after the other. But how do we make sense of them? Professor Gabriel Barnhardt, a neurocosmologist at Princeton, had been engaged in deciphering those secrets most of his career. What were the laws of physics then? Were they the same as ours? He found it to be curious that the dark energy-dominated phase of the universe's evolution--preceded by the radiation- and matter-dominated eras--began approximately when our sun and its system of planets, moons, and asteroids, were born. A coincidence? Intelligent beings who thrived during the peak habitable time of the matter-dominated era had to believe that it represented the final state of the universe and its forces. Why would they think otherwise? That suddenly, so to speak, the universe's expansion would accelerate? And that some force unknowable would cause it? There may have been a Georges Lemaitre to interpret an Edwin Hubble's observations as the universe expanding, and consequently, point to a Big Bang theory, but there was no acceleration at this time. The shape of the universe was probably known but was considered closed and unbounded. Did the advent of dark energy's supremacy nullify certain physical laws at work during the matter-dominated stage? Was awareness of parallel universes operating in the same multi-dimensional space a known fact? Were convergent junctions mathematically obtainable, their disposition in hyper-spacetime a matter of computation using a supercomputer based on DNA synaptic networks? Had they shattered light's limiting velocity and achieved space travel to other star systems? We'll never know; their universe has ended and with it the knowledge of that period. But, the memories and thought-images remain, echoes etched in spacetime. Professor Barnhardt believed they could be reborn, that they could emerge from the depths of the unconscious layer of the cosmos. He started with simple questions: How could the transition affect the laws of nature? Could discrepencies and incompatible theories be the result of the former matter-dominated laws mingling with those of the present era? Were there layers embedded within the quantum world that made sense of it all--albeit in a more complex way--layers we are no longer able to see? Closed off to us when dark energy took over. He had many more difficult problems to solve; more than he alone could hope to crack. He knew of one man, a colleague at the univeristy by the name of Tobias Spinoza, a paleo-astrophysicist. He too had been conducting research into the possible differences in the undertsanding of the physical universe between the matter-dominated era and now. Mostly an exercise of simulated mathematical models, he'd also devised instruments to measure the tiniest of seismic waves in quantum space--fluctuations in the energy density. Ordinarily, a private pursuit not discussed among other members of the physics community, he'd recently noticed anomalous behavior coming from the farthest reaches of the great expanse. Oscillations of known frequencies were constant and reliable indicators of all things explosive. Supernovae have a specific wavelength in relative time, for instance. But what he was seeing now was overriding all the common parameters; chaotic and pervasive, it surged with an unimaginable force, obliterating the signatures of the fundamental acoustic waves. He had no idea what it could be, all he knew was that it stemmed from deep space. Meanwhile, beyond the horizon of the observable cosmos (approximately 46.5 billion light-years), the crack in spacetime continued, increasing in strength. Splitting the voids, it tracked along the filaments of galaxies and clusters of galaxies until reaching a weak spot, then sliced through the tendril into the adjacent void, splintering the edges on both sides as it went. The spacequake moved through the substrate of dark matter with little to any resistance, branching out on fractal scales. As a result, the resonance expanded exponentially, deepening across all frequencies simultaneously. The effect propagated turbulence on every dimension of space and time, but especially forceful and destructive were the waves that traveled the densely-packed matter of the filaments themselves, plowing into galaxy after galaxy, heading towards the convergence junctions of superclusters. Spreading through the voids with almost instantaneous speed, it would eventually reach the Virgo supercluster of galaxies that contained the Milky Way. Memories of lifeforms who existed during the previous era, stamped into the fibers of spacetime, began to surface amongst the tumult. Whole personalities emerged, their home worlds obliterated with the star that spawned them. Only virtual initially, the energy imparted by the quake brought them into reality. Disembodied, adrift in the vacuum of space, yet conscious of being, they sensed something new, something unbearably strange. Space was being drawn and tugged and stretched in various directions; subspaces were flowing away from one another yet remaining attached, connected. New space was being born at the fissures, pushing out as it welled-up from its source. At the boundary separating the two eras, the laws of nature fragmented into their basic constituents. The continuum that had prevailed throughout the matter-dominated period dissolved into discontinuous segments, then reformed into other interactions, stamped, however, on the global scale with their previous nonlinear characteristic. Barnhardt and Spinoza had drawn this conclusion based on the subtle dissonance of a variety of cosmic sound waves--remainders in their equations--coming from the era-boundary where disorder and order intermixed. That zone of transition generated a well-spring of fractal dimensions, and in the process of branching out, a new order was created with its own laws. Taking distortion and the Doppler effect into consideration, the integral and fractional displacements--overtones--across even a narrow sub-range of the entire spectrum of possibilities were not derivable from a single fundamental mode. They were being plucked on different instruments. Their hypothesis assumed all forces of nature during the matter realm stemmed from a single source--an integral whole. But with the advent of dark energy's dominance, the source of those laws increased in complexity by a full dimension, similar to adjoining the square root of minus one to the real numbers to create the complex. They believed they were close to unraveling the natural laws of the previous era of the universe from this one, or at least on the verge of discovering the key that would make sense of it all--altering their perception in the process--but due to Spinoza's concern over the deep space detection of an enormous tsunami of sound originating beyond the horizon of spacetime, they put their project on hold. It was beyond their imagination to conceive of spacetime splitting in half, becoming two universes separate and apart, with all the same rules and significant features. The jagged crack generated turbulence engulfing whole clusters of galaxies as its bow wake passed through. Civilizations, star systems, whole galaxies close to the source were reduced to rubble and radiation, all life was wiped out, annihilated. But with time, the force of the wave dissipated, and for those billions of light-years away, the islands of stars, held in place by the skeleton of dark matter, rode the wave and all its subsequent lesser waves. Internally, the elementals of time and space shifted to and fro, oscillating like molecules in a frothy sea. On those life-giving planets and moons, sudden time and space reversals and dilations caused mass disturbances and destruction. All the forces of nature were in jeopardy of collapsing, only the nonlinearity of their fields maintained their integrity. Avalanches and tsunamis raged over those planets with mountains and oceans. Temperatures changed radically, storms of horrific intensity washed over the lands. The stars erupted with prominences of unthinkable size and power. The roller coaster ride lasted for weeks, earth time; when it was over and spacetime had settled down, the planetary systems returned to their former arrangement, with some exclusions. Asteroids and comets were tossed about like leaves in the wind. It would take time for gravity to decide their fates and once again bring reasonable calm to an already violent universe. The fissure relentlessly moved on, its speed increasing as the two universes spread farther apart, spawning cosmic-scale shock waves as it went. With the help of the latest DNA-gel supercomputer running artifical intelligence software, the two professors analyzed readings from Spinoza's satellite-based sensor array. In only the past week, the massive sound wave had gotten louder, and it was coming this way. It was Barnhardt's discovery of a memory field embedded in the psychic plane, intertwined with spacetime, for which he was awarded the Nobel Prize in 2140. He had surmised that the energy of the vacuum itself continuously reinforced the spacetime etchings that carried the imprinted actions and lives of all lifeforms that had ever existed. Something like a hologram. And that these impressions were redundantly supported in relative measure, by scale, across all dimensions. He even went so far as to suggest that in certain circumstances--supported by his equations--a series of such memories could be reconstituted into a singular personality, coalesced by affinity, with, more than likely, a renewed and quite different self-awareness and consciousness of being. His device, riding on the same satellite, was detecting signs of agitation, a churning of psychic elementals out of all proportion to their inherent spectrum of probable frequencies. Both he and Spinoza found it to be no coincidence that this relatively local phenomenon was occurring at the same time as the pressure wave, source unknown, propagated across the universe. The origin of the tsunami was beyond the boundary of the observable universe, yet the disturbances in the memory field were everywhere around them. It suggested either a mode of transit beneath the more superficial dimensions with which they were familiar, on a sub-quantum level, or an interior existed allowing for chords of pathways from one part of the universe to another--shortcuts. They considered that this interior wouldn't necessarily be of the same nature or composition as spacetime itself--the surface. It could very well be more elastic and less dense. In fact, the entire universe might be the interior of something much grander, on an unimaginable scale, and our perception of it being flat only an illusion. They also considerd a third possibility: because these self-organizing energy fields--coherent psychic energy--are highly ordered and complex--dense with information and formal structure--their emergence ahead of the quake's bow wake could be akin to so much flotsam on a surging sea. Additionally, awareness of the situtation might be communicated instantly and movement initiated by will alone. If that's the case, then they--these long dead memories of personalities--are likely from the matter-dominated era, a time when the evolving universe had different rules. Photons leaving galaxies within the horizon wouldn't reach Earth for billions of years, so any observable evidence concerning their movements, especially erratic undulations in spacetime, was not known amongst astronomers and cosmologists, even with their most sophisticated satellite-based telescopes. Due to the non-local property of spatial elasticity, the quake wave was transported faster than light. It was space itself that transmitted the shock, stress fractures spider-webbing exponentially; entangled vacuum particles reverberated across the entire universe, acting in concert like a single sheet of space--a condensate. What made the difference in intensity was time. Spinoza's sensor array detected anomalous vibrations in the local neighborhood, but it was mild compared to what he knew must be coming. In the mid-21st century it was finally accepted that the reference term dark matter was not any type of matter at all. It was understood as gravity fields existing without the necessity of a host mass--scalar fields--the graviton being immune to the Higgs field. Space could be curved without the need for matter to curve it. Hence, acoustic (pressure) waves could travel through dark matter--scaffolding holding the galaxies and clusters together--without hindrance. The sound wave, in fact, picked up strength as it passed through what were essentially gravity waves, gaining energy like a hurricane passing over warm water. The universe continued to split, the crack behind it widening. Spinoza and Barnhardt had commandeered a large storage area in the basement of the campus Science building for a lab. Bertha, the supercomputer, lived on the floor above, the entire floor. Both the seismic sensors and the memory-field detectors fed directly to Bertha, and she in turn interpreted the data and presented it on the many screens placed about the room. Barnhardt sat in front of the main screen, coffee cup resting on his lap. It was late at night. He wanted to be alone to contemplate, to cease trying to impose models onto Bertha's translation and trust his intuition, to see what he was looking at, what it could mean. The screen showed a topographic representation of contours of memory energy in three dimensions. Additionally, a holograph could be projected into the room in free space and examined from every angle. The high-frequency, rounded spikes appeared random at first, but now, letting his mind work on its own, a pattern was beginning to emerge. They were scattered about the solar system, reaching almost halfway to the next star, Alpha Centauri. He felt like Hubble trying to discern what were mere fragments of memory and what were constellations of a series of memories--a personality. The adjacent screen translated the data into waves of psychic energy rippling over the entire extent of space. Their origin came from outside the range of the sample. Each set formed concentric curves that increased in degree of curvature until ending at a point. These points seemed to coincide with the larger spikes on the first screen. After a few verbal instructions to Bertha, they were superimposed on the energy intensity image. Indeed, they were a match. He now focused only on them. Standing several feet from the holgraph, he instructed Bertha to display all configurations of point-spikes that shared the most information. As she did so, fluidly transforming one into another, interference between separate collections of ripples built up, forming vectors that twisted and twined around ones that appeared stationary. After a few more insructions to skew this or that quadrant, he saw it. He then told her to show only those spikes whose quantum value was above the overall mean. It was like a kaleidoscope turning. With a few tweaks, the 3-D holograph displayed a sphere of rimless wheels whose spokes of point-spikes intersected at the Earth. He thought to call Spinoza at home to tell of his findings, but it was the middle of the night. Besides, before discussing it, he needed to mull it over, arrive at his own conclusions. He went to a side table devoted to coffee making for yet another cup. As he poured, lost in thought, he noticed out of the corner of his eye that the holograph was wavering. He put the pot down and turned towards it. The sphere of wheels was gone; in its place stood what looked like a human, or at least, a silhouette of one. He or she, he couldn't tell, was enveloped by what appeared to be miniscule and extremely energetic dust motes in orbit within a cloud of translucent vapors of some sort, or the tiniest of insects swirling chaotically in a fog. Barnhardt had no idea what to do; he was transfixed. A voice, not Bertha's, emanated from the wall-speakers, "We honed in on your detection device and have learned your language and history--your culture--from your computer. We are of what you naively call the memory field. You are professor Barnhardt, are you not?" The rapidity with which he spoke conveyed a sense of urgency, not lost on the professor. Barnhardt was flabbergasted. The irony didn't elude him. He was the foremost proponent of his own hypothesis about personalities imprinted in the memory field--his discovery--but now that he seemed to be confronted with its reality, he couldn't accept it. It was too unbelievable. He stood aghast, his mind racing to think of something to say. Equations and fragments of phrases billowed about in a world of confusion. He just stared at the holographic apparition, the ghost of someone past--an avatar. "We need to talk, professor," the hologram said, softening his tone, deliberately trying to calm Barnhardt down. Within the cocoon of opaque vibrations, he smiled. "Please, doctor, have a cup of coffee." Barnhardt moved his hand, a small gesture that broke the spell. He took a breath, realizing he'd been holding it all this time. His hand shook as he put the cup to his lips, he needed it. "Call your associate, Doctor Spinoza, its imperative that we talk. You both need to find out what's happening." Unsure if his voice would work, Barnhardt nodded. He called his partner, waking him. Spinoza, always irritable when first awaking ordinarily, was particularly upset. He told him it was the first deep sleep he'd had for a long time, so this better be good. Barnhardt explained as best he could what had transpired in the last half-hour, and that their visitor requested his presence. A long pause ensued while Spinoza wrapped his head around it. He then said softly, "I'll be right there," and hung up. While they waited, the apparition explained who he was and that his appearance incorporated many other individuals who existed on the psychic plane and shared a similar perspective. They would talk through him. His name was once Ramadhi. "I was a scientist who lived during what you refer to as the matter-dominated era of the universe. Our science was over a million years old when I was born. And my planet was beautiful. Life was good." He stopped for a moment, seeming to collect himself. Then he began again, his tone less emotional, "What you call space and time elementals--oriented, infinitesimal geometric archetypes--we called the granulation of cosmic consciousness, grains of thought-energy pervading the universe, orchestrating its construction. Gravity is more than curvature or a force drawing matter together, it's the sympatheitc resonance binding the constituents of a thing by affinity. Life is the focal point, a stellar system that provides life, a means to that end, a whole unto itself, and a galaxy..." He stopped once more, marvelling at an image only he could see. "We discovered a countless wealth of universes co-existing with our own, intepenetrating and affecting one another in complex ways. You argue over how many dimensions spacetime conceals, but only to fit into your mathematical description, your models. You are yet at the beginning, your explanations are based on a naive understanding of reality, your assumptions framed by the fundamental misconception that you live within something tangible, some bubble of time and space and matter that miraculously creates life from its material expression. Your laws are but a special case instance, a far more grander picture of the living cosmos in all its infinite intricacy awaits you." Barnhardt didn't quite know how to take this. He was being told that their understanding of how the universe worked, at least on the quantum scale, was not only inadequate but also may one day prove to be the product of inferior minds. But he had to swallow his pride. He could tell his visitor was not trying to diparage him or the level of humanity's knowledge of science, but only to prepare him. What he had to say needed to be accepted with the belief that he possessed a more thorough understanding of reality and of the universe. "As the mind evolves in its capacity to understand," he said in a sympathetic tone, "so do the laws of nature that attempt to describe the world in which it finds itself." Barnhardt resumed his chair in front of the holograph. He had a million questions but didn't know where to start. "You lived during the time before dark energy took over. Your laws of nature could not have foreseen that eventuality." "No, they did not. Our laws were compact and drew their primal source from the nature of pure thought-energy. Our mathematical models could be superimposed on one another. We knew the universe was expanding, but believed it was inevitable that it would some day slow down and enfold in on itself. A foolish belief. An arrogance, perhaps, to think our time was the final expression of its identity, its purpose; its life-cycle over. "We discovered forces of nature that depended entirely on their necessity. Spontaneously created temporarily by the interactions of those of a more permanent nature. Forces of transition and transformation, turning one into another behind the curtain, so to speak. We lived in a continuum of sheets of time and space layered over consciousness, a coherent mind inhabiting all dimensions. We learned to travel through space to other star systems, transcending limitations of ordinary surface spacetime by inserting our ships into layers of time. Sheets of time that corresponded to when light had left a distant star could be accessed by initiating those temporary forces that bound them to our own sheet. Portals between dimensions and planes of existence could be opened. And physical structure not only rearranged without changing its inherent thought-energy nature and then changed back, like water, but the force relationship between parts could be alloyed with another altogether different force on the same scale, thereby emerging with a completley different material. In fact, we were on the verge of discovering how to create things of substance by simple manipulation of the cosmic genome." He appeared to look within as though listening, a self-effacing glint sparkling his eyes. After a moment, he raised his head and said, "And then the unthinkable happened." Spinoza rushed into the lab. Because of the doorway through which he entered, he first saw Barnhardt sitting in rapt attention bathed in milky white light. Then he stopped dead in his tracks. The outline of a human within a cloud of energetic particles turned towards him. "Doctor Spinoza, we need to talk," he said as one to a colleague. "Please, pour yourself a cup." With time and familiarity with the vast supercomputer storehouse of archival information on earth civilizations at his disposal, he was becoming more human. Spinoza stared at Barnhardt who beamed with excitement. He then grabbed a cup and pulled a chair up next to him. Shock slowly dissipated, to be replaced by wonder. Barnhardt filled him in on the high points of what he'd been told thusfar, Ramadhi interjecting for clarification occasionally. Summary over, they turned to him as to a mentor. Spinoza asked, "You said we need to talk. Does it have anything to do with my findings on seismic waves coming from over the horizon? I'm just guessing, but I don't know what else it could be." A pause filled the air with silence. Ramadhi appeared to be listening once again, then started right in, "During our era, our planet and those we had colonized came under attack from something unimaginable. Even at our level of science, no one had foreseen it. It was not implied in any equations of topological cosmology or elemental astrophysics. We detected a significant acoustical disturbance over a billion light years away, moving fast. We had no idea how this could've happened. Outfitting our probes with the drives that allowed us to travel through time sheets, we sent several on a range of probable trajectories, searching for the origin of the most powerful wavefront. Information streamed back, but they could only get so close before being torn apart." Realizing he'd built up a lot of steam in his preface, he paused to avoid being overly dramatic, but it had the opposite effect on the two earthlings. "We learned that the universe was dividing, splitting in a jagged fashion, the wavefront shifting its propagation vector with the topography. We drew a parallel with a tectonic event on our planet and called it a spacequake. Even though its cause was beyond us to fathom, we continued to send out probes through all dimensions simultaneously, as the seismic wave approached. We could see no precedent in the primordial history of the universe. Even if we had discovered it, however, there was nothing we could've done about its effects." Spinoza was about to ask a question, then held his tongue. The visitor had not finished. "We had no means to block its passage. At first, the signs of its nearness were demonstrated by planetquakes and volcanic eruptions as space and time phased in and out of their usual behavior without warning. Spatial and temporal shiftings soon put an end to all functions of a normal society. The time of day would change abruptly, and location along a trajectory for anything, a person walking or a machine performing an ordinary task, would skip about from one position to another out of sequence. It was maddening and made life impossible. It only got worse towards the end. There was total chaos, and then things, material things, just tore apart and disintegrated and were tossed about like the wind. "Most of the population scattered to planets light years away. Some of us remained, working on possible solutions, trying to save our planet and the system from complete devastation. But it was no use." He paused as though recollecting those days. "It came to pass that we had waited too long. Spacetime had become so turbulent, fluctuating on every scale beyond our ability to control, that we had no escape. Our ships simply could not navigate in such turbulence. The grains of space and time moved about too quickly to get a fix, to plot a course, to enter a time sheet. Almost our entire race, colonized planets included, were lost and our system and beautiful home world destroyed, renderd into chunks of rock and dust and radiation. And all the living things on it." He stopped to reflect, a painful look on his soft features. "Only those of our people survived who ventured into the uncharted territories at the far edge of what we could see. A small number of rugged frontier types, to be sure. They too are now long gone with the turning of the tide." A deep silence descended. In spite of his vague features, they could see that Ramadhi held back tears. Steeling himself, he summed it up, "Four and half billion years ago at the time of demarcation between what you refer to as the matter-dominated era and the dark energy era, the one you live in now, anti-gravity waves fractured the long balance of forces that once ruled. Those of us who lived then for whom I speak were able, at least, to ascertain, by the process of elimination, that its source if not its cause was of a spontaneously generated dimension. We studied our equations defining the nature of reality, the cosmos and all that transpires within. Nothing predicted even the remotest likelihood of this event. No one, not even our philosophers and great thinkers, suspected that the universe, in spite of its multifaceted complexity, was capable of doing this. "The universe is full of surprises; it has not yet finished painting its portrait. It evolves in leaps and goes through stages of development. The blackboard wiped clean, structure is reformed, meaning altered. It's a natural process operating on a grander scale than the lives of those it destroys. And now, unfortunately, it's happening again." They were dumbfounded. Assuming they understood him correctly, he was telling them that their galaxy was in danger of being rent asunder, pulled apart like tafffy. They had no idea what to say. Was that it? No but at the end? Their entire cluster of galaxies was catastrophically doomed and there was nothing they could do about it? Was that what he was saying? Earth had no colonized planets to escape to. This was it--home. Spinoza found his voice, "My readings indicate that, although seismic fluctuations on a small scale have already been detected in our local space, the front is still billions of light-years distant. Couldn't it dissipate before reaching us?" "As the main sound wave travels through all dimensions of space and time, the force depends on the rapidity with which the cracking moves and its depth. The source--the incident pulse--of your seismic fluctuations is another matter. That realm must be the origin of the crack and is beyond thought itself. In other words, we can't know. "On the surface, the virtual energy of the void acts like a membrane-condensate through which the pressure wave travels without limitations. And when it slices through filaments where galaxies dwell, its speed increases due to the magnetic flow lines permeated by dark matter, the strands of the web. Propagation is also facilitated by what you term baryonic matter bolstering the elasticity of the filament." His cold objective description of what was to come went straight to the heart of the two scientists. "So you're saying there's nothing we can do about it." Spinoza was annoyed. This kind of hopeless, fateful talk always irritated him. Problems had solutions, that's how he saw everything, what drove him as a scientist in the first place. "The end is near and that's it? Our death and the death of our planet is unavoidable?" "No," replied Ramadhi quickly. "No. If that were the case, it would've been more merciful for me to have merely watched," he said, somewhat distantly. "All the greatest minds of my people who have ever existed you see before you as pure consciousness and will. We are also elsewhere, on other planets, having this same discussion, more or less. People whose science has evolved to the point where they can understand. Because of your detection instruments, we believed you might be the ones." "The ones?" said Barnhardt, unsure if he heard him correctly, and hoping he didn't. "Yes. We've arrived at a strategy, a plan, that may prove successful. An experiment, really, but it looks promising." An experiment? Barnhardt was surprised and a little disappointed to discover that dead people didn't seem to have as much empathy for the living as he thought they might. Nonetheless, he brushed all sentiment aside and leaned in to listen. "And you're the ones to implement it," he finished on a strong note. The two scientists looked at one another. Without words, they acknowledged that a more unlikely pair to stop the approaching tsunami of destruction and save the Earth could probably not be found. "Implement your plan?" Barnhardt said, his face pinched with bewilderment. "This is a matter for the entire Earth. The scientific community, at least. We have many brilliant scientists who would probably like to have a hand in any implementation of your plan. To discuss it, work out the details. We can't just rush into this." "That is precisely what must be done, what needs to be done, I'm afraid," countered Ramadhi. "There's no time to waste." Barnhardt rose to get more coffee. He returned with the pot to fill his partner's cup, then placed it on the floor next to his chair. Spinoza, cup in hand, got up as well. Together they paced the lab. They wandered about, glancing at the other screens as they went, saying nothing. Barnhardt was about to open a discussion when a beeping noise caught their attention. The screen dedicated to the seismic instrument feed was raising an alarm; it'd been set to register any appreciable change in local activity. Scanning the screen beside it, they noticed an increase in intensity of the main pressure wave coming from a much closer distance, as though it had lept forward in time. 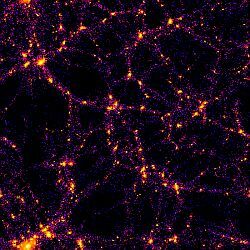 Although the tendril of dark matter and luminous galaxies is clearly denser than the void, the brunt of these filaments are made up of gas at temperatures between 100,000�C (180,032 �F) and 10 million�C (50 million�F) which has the effect of lessening the density. All other properties being the same, acoustic waves move faster through less dense material, like hot gas. Molecules at higher temperatures have more energy, thus they can vibrate faster. Since the molecules vibrate faster, sound waves can travel more quickly. Also, the impeding factor of density is additionally superceded by the plasmic elasticity; the lines of magnetic force acting like grooves or channels in spacetime held in place by an abundance of intermingled dark matter. Consequently, the speed of the initial shock wave had increased exponentially and was bearing down on them, pushing ahead of it uncalculable amounts of deadly ionized gas. Ramadhi said, "It's slicing through the filament that contains your galaxy. We have to act,..., now." They faced his opalescence, the outline of a human more pronounced as he absorbed more of Bertha's mind. "Tell us what do do," said Barnhardt flatly. "There are ways to stop or dissipate a sound wave, and essentially, that's what we're looking at. Sound needs a medium to travel through; without it, it dies. Eliminate it, that's one way. It can be reflected and absorbed. If we could erect an impregnable barricade, impervious to vibration, like a string of neutron stars stretched across the filament at its narrowest point, that would work, in theory. Impossible to accomplish in practice, of course, but that's the magnitude that a barrier would have to possess. A direct assault by an anti-wave of the same frequencies but out of phase by an equal and opposite amount could work as well." He paused to listen, his piercing black eyes dulling momentarily. Then he said, "That last method is beyond your technology. There are simply too many harmonics and fractional overtones; the complexity and intricacy of the wave is beyond anything you could fabricate, impossible to counter. Especially as it's in motion, ever changing its configuration. And then there are the fractal dimensions that would have to be accounted for in order to avoid a circumvention. No. What we need is what you call a firebreak." The two scientists couldn't believe what they were hearing. What is he talking about? At its narrowest point a filament is millions of light years wide and thick. And how much of it longitudinally would have to be rendered completely empty space, empty of plasma and gas and dark matter--massless gravitational waves, but also devoid even of virtual particle-antiparticle fluctuations? Truly empty? The very idea was out of their league. They had no means to do what he suggested. Even if they were able to travel to some region of the filament between their cluster and the wavefront, what would they do when they got there? It was pure science fiction. A firebreak? "Dear sir," Spinoza began, "just for the fun of it, how do you imagine we accomplish such an absurd task? We may as well try moving a string of neutron stars in place. Shouldn't be too much of a problem; what's one of those suckers weigh? Or how about a gigantic black hole big enough to devour millions of light years worth of spacetime. Conjure up one of those, then tow it in front of the wave crashing down on us. What doya' think?" Nonsense always pissed him off, and considering the magnitude of the problem at hand, he was gauled by what seemed a deliberately preposterous and unatainable proposition. Coming from a being of pure consciousness whose personality in the form of memories dwelling forever in the fabric of spacetime made no difference. Barnhardt was equally astonished. Bertha knew the limits of their science and technology, so Ramadhi should be aware of that also. Unexpectedly, he laughed. At that instant, Barnhardt realized, finally, that the emotional content of Ramdhi's personality had been inscribed as well as the black and white memories of identity. For a brief moment, he forgot their predicament and thought as a scientist, a neurocosmologist, studying the composition of what he called the memory field. At once, his mind cleared of confused thoughts and anxiety. His nerves abruptly calmed, he returned to being the insightful, intuitive researcher. He'd been understandably overwhelmed since the holograph of Ramadhi appeared. That in itself was awesome enough. What he had to tell them about the prospect of imminent doom, painting the picture of what happened to his planet and people, had numbed his brain. At last, he got a grip. After his outburst, or because of it, Spinoza felt more at ease himself. He was an aggressive physicist, his single-minded intelligence ignored distractions ordinarily, but he too had been dumbfounded by recent events. But now he felt more in command of himself, his mind open to explore new territories, no matter how bizarre and crazy they may seem. He reminded himself that Ramadhi's science was well beyond anything humans knew. A million years old when he was born. And how old was theirs beginning with Galileo? Seven hundred? Ramadhi, a thought being, after all, recognized their mood shift for what it was and said, "I see you've asserted yourselves into the problem." After a pause for mutual understanding, he said, "Even we could never do what I suggested. It was a ploy, a test, if you will. Laughable. Absurd indeed. We suspected your underlying passion to understand reality and be in touch with it would bring you out of yourselves. You need to be focused, intimidation serves no one." Barnhardt built another pot of coffee while Spinoza consulted with his seismic screen. He touched its surface and it extended outward to three dimensions. He turned it, stopping occasionaly to study the moving contours. It was the local picture; he wanted to see where in deep space it came from. He told Bertha to plot its contours backwards to the end of the dog-legged filament, millions of light-years from the Virgo cluster, to extrapolate based on the intervening energy density. A statistical determination at best, he knew, but it was a big filament with a lot going on. The holgram shifted to one depicting a chaotic assemblage of huge turbulent waves and back-eddies, mountains of peaks and deep troughs danced on the surface as the atoms of space and time swirled about. Adjusting the scale to the quantum and sub-quantum layers--quantum space--infinitesimal space and time elementals crashed into one another violently, then bounced back to crash into those behind. The fundamental frequency was off the scale. White noise radiated in all directions, dissipating with distance from the strand as it flooded the void, an area of negative pressure almost completely without either energy or matter. The split was occurring on the other side of the horizon, but its effect was hastening across the near sectors of voids and galaxy-containing filaments. The local picture showed only the preliminary tremors; he stared in disbelief at the calamity to come. And he had no idea what to do about it. In spite of himself, his sudden confidence began to wane. Wanting to do something can't override the ability to do. They simply didn't have the means. "The psychic plane penetrates to the very heart of the universe," began Ramadhi, his outline of a human now complete, the buzzing cloud that had enshrouded him gone. "We can move through its consciousness at will, it is a very fluid and non-dimensional non-space. Timelessness is its nature, from which the many dimensions of time derive. We can't stop the splitting, the dividing of spacetime; the cosmos evolves beyond any external control. But, the pressure wave--the kinetic energy--caused by it permeates spacetime. As the surface of a solid sphere shares in the nature of the interior, yet has an identity separate and apart, our wave is of the nature of both spacetime and its interior. "The seismic disturbance intersects the psychic field, as do all things manifest in the surface universe. Mind energy creates space and time out of the grains of consciousness. Thought materializes through the prism of mathematical relationships, what transforms the raw material of consciousness into ordered, self-organizing physical reality, charged with a set of rules that regulate its function." Spinoza listened intently, but what he heard only served to confuse. It was out of his ballpark, the hard-nosed practical astrophysicist had nothing to compare it to. Barnhardt, on the other hand, through his research with the memory field, glimpsed what must be its context, the larger underlying source that somehow incorporates and maintains the psychic elements of life. What inscribes them into the surface membrane of space at the mind level of nature. He approached Ramadhi, his appearance no longer off-putting. "Could you elaborate, please? Are you saying that this tsunami can be tampered with from the psychic dimension, where you and your friends dwell? That its intersection with the surface universe--spacetime--could somehow affect the source and the course of the wave? Or am I just hopefully imagining?" He noticed that by using Ramadhi's terms, he was accepting as real the structure of the cosmos for which he had no real understanding. He felt from the start that their minds could be read, they are basically thought-energy, after all. In the process, was he in turn also assimilating some of Ramadhi's conceptual knowledge? Perceiving a larger picture? Or was it there all along in his mind, waiting for the proper resonance to come forward? A life-or-death situation like this can seriously motivate inspiration. In any event, he thought he sensed a glint of hope mixed in with all the mystical-sounding depiction. "What are you saying? Is there a chance we can ward off death and destruction? If so, how?" "I repeat," interjected Spinoza. "If I get the gist of what you said, and I think I do, what use are we? What can we puny humans do?" "Transition between dimensions is the genesis of mutability," said Ramadhi. To add amazement to an already tense atmosphere, he stepped from the confines of the holographic representation into the room. The two scientists were only briefly set-back; nothing could be more shocking than what had already transpired. They were getting used to it. He stepped towards them, his features that of a young man whose eyes burned brightly with otherworldy experience. An independent consciousness from an age before the universe dominated by dark energy came into being. Not surprisingly, he had a different perspective on the subject at hand. "Your memory field contains more than the impressions of once living things. All that has ever happened in the physical universe is recorded, chiseled into the psychic reality of spacetime. Eventually, most evaporate into their essential thought-energy, ordinary day-to-day activities and events of short-lived consequences. But instances of monumental importance, bifurcations in the thought stream, remain more or less permanent features, having affected meaningful reorientations in the course of the cosmos. That includes, most definitely, the splitting of the universe and its subsequent ramifications." Barnhardt said, "Why yes, of course, I see that now. I've been searching for resonances and patterns of thought-energy of once living things only. Activites of the mind that might give some indication of the laws of nature prescribed to during that period, your era. Reflections and echoes that repeat as common denominators expressing a mode of perception. The subtleties need refining, to be sure. But non-life events of a significant nature would also be engraved." Ramadhi studied Spinoza's holograph of the moving contours as proposed by Bertha, close to a billion light-years distant at the end of the filament. Considering the chaotic behavior of the countless wavelets as they interact with one another and the inherent nonlinearity taken as a whole, Bertha's superhuman computations were still little more than a rough guess. Nonetheless, estimated or not, the overall picture of an extremely turbulent sea of powerful acoustic vibrations mixing together and then breaking off into all directions could not be denied. "Considering the breadth and complexity of this wave, countering it head-on would be impossible," he said, stating the already agreed upon obvious. "It can't be nullified or even weakened. So, approaching it directly, even if we had the technology, would be fruitless. Like a gnat trying to stop a herd of elephants." He put his hand into the holograph and drew a line with his index finger across the profile of moving clouds of sound energy. Then drew another a few inches away, parallel. And with a subtle hand shake, the contours representing the maelstrom between vanished, replaced by utter darkness. "So we have to come at it sideways." "We are psychic entities capable of transiting all dimensions of reality and entering the zone of timelessness. The origin of the splitting, that coordinated point in hyperspace, began in denser, compact dimensions. A disintegrating complex, a spontaneous fluctuation, a time rip, a time to expand, the substrate emerged at the surface of spacetime in the midst of a void of perfect nothingness, empty of even the thought of emptiness. It has traveled across the universe in its jagged way by the path of least resistance, charged with the force of the expansion of another time dimension. The energy released by the internal rearrangement among spatial elementals drives the cracking, its violence the measure of its depth. The unconscious mind of the evolving cosmos acts independently, it know no authority." The two scientists were getting a lesson in the workings of the universe and hated to interrupt, but Ramadhi was out of their league and, like he said, time was wasting. "Please, sir," entreated Spinoza, "if you could skip the much appreciated overview of cosmic spacequakes for the moment and tell us what your plan is, we could get on with it." Standing in front of the holograph, Ramadhi's idealized human persona actually seemed miffed. He was rather enjoying himself, quite probably not something he'd done for a long, long, time. He rasied his eyebrows, then lowered his head. A smile creased his face. Standing straight and adopting once again the role of teacher, which he surely must've been, they surmised, he pointed to the holograph of billowing clouds of sound; specifically, at the black corridor he bounded. "We need to synthesize the functionality of your satellite modules. The fossilized memory of seismic activity mirrors the thought-energy that underlies it and gives it a signature pattern, a unique identity like a fingerprint. It occurred in real time on the surface of the universe, now it is a remembrance. The proper resonance can bring it back into reality, as you well know now. "The initial fundamental shock wave, from which all subsequent waves are derived--the direct result of the tearing through the universe's skin--is inscribed on the deeper strata of the psychic plane; your memory field, Doctor Barnhardt. "And your instrument package, Doctor Spinoza, can detect the whereabouts of pressure waves in the primordial landscape as well as in real time." "But this splitting, as you call it," Spinoza countered, "that's happening on the other side of the horizon, somewhere. My machine can detect sound disturbances only up to a few parsecs, and then only through the medium of quantum space; elsewise, it would take years to retrieve a signal. Besides, even if it could reach that far, what good would it do?" Ramadhi walked to the coffee machine, enjoying the experience of walking. He poured himself a cup and smelled it, then tasted. Sensations. Corporeality. The recollection of what it meant to be alive in the physical world. A change came over him. He turned to the two scientists standing by the holograph of mass confusion, and said, an earnest tone in his voice, "In conjunction with Doctor Barnhardt's memory detector, we can find that fundamental wave, that initial frequency, the impetus of turbulence, by entering the domain of timelessness. We can facilitate that transfer. Where your present time-sheet intersects with the axis of eternal now, the volume of spacetime on this side of the crack can be surveyed. "We have no means to accomplish that task. Although we can interface with the material world--if given sufficient cause--we are no longer of it." "Assuming we can find this fundamental fluctuation signature," said Spinoza, "what then?" "We freeze it out. You see the empty space in your holograph? That's what we create. Just before the basic wavefront is triggered, we establish a buffer zone of timelessness underlying physical spacetime between it and surrounding space. With no medium to pass through, the wave will be absorbed into the virtual world of empty space where its reality will be neutralized. With the main support wave gone, its derivatives and harmonics will lose their driving force and quickly dissipate in all directions--white noise." "Okay," said Barnhardt, "what do we do?" 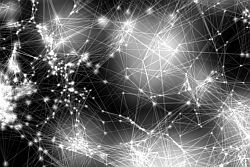 "The imprint in the memory field is fixed in time, an indelible arrangement of nodes and their interconnections, a network of meaning. It's dry. Fossilized. When hydrated by psychic energy from a lower plane in the hierarchy, it can be brought back to life. What had been of timeless pre-space transforms into an event in time, albeit on some newly created tack in the ocean of space. That living form now possesses its very own distinct time elementals that define its place in history. Its unique identity. What we must do, what you must do, is transmit precisely phased, oppositely-oriented time elementals--anti-time--mirroring the fundamental frequency to neutralize its reality, its nature. Symmetry. Mutual annihilation. And thereby cancel its effects. "Essentially, we create a timeless zone encompassing not only it but all major subsequent fluctuations along that same timeline. Simple. Yes?" Barnhardt and Spinoza had sat down for this explanation. They were both wishing they had something stronger than coffee to drink. Ramadhi could see doubt in their eyes. He said, "Working together, your seismic instrument can be altered to track for that specific, though dead, sound disturbance, and the thought-energy associated with it by your memory detector. Your detector, Spinoza, knows what a fundamental wave looks like, its features and characteristics. Its shape can be mathematically represented. It will be approximate intitially, but no doubt close enough of a match to find it. Its imprint, its profile, is indelibly etched into spacetime on the psychic plane, Doctor Barnhardt's memory field." Doubt had turned to a glimmer of hope. They were beginning to understand, but weren't quite there yet. "To reach the other side of the horizon, beyond your observable universe, the signals transmitted by your devices must pass through the timeless dimension to where the crack in the universe is occurring. It's the only way, bypassing billions of light-years in a single moment. Think of it as tracking along the central axis of a multi-dimensional onion of mutually-interpenetrating layers of realities, only this onion is not spherical, geometrically. Each layer is separable with unique identities and natures. At its core lies the timeless domain. And it isn't really transiting in the strict sense of the word, actually." He was clearly thoroughly enjoying himself, his eyes radiant with renewed vigor. But before he went off on a tangent, digressing on what appeared to be his favorite subject, he caught himself. "Those are the two things we can do. Establish a channel, a path through the center of the universe, and activate the fundamental wave once found." Ramadhi repeated his ideas in a slightly different way. "The shape of the newborn memory can then be refined and calibrated. The fabricated wave of anti-time infinitesimals can be superimposed, rendering it timeless. It then drops into oblivion as an event in your timestream." Silence filled the spacious lab; it was a lot to swallow in one gulp. They were used to doing things of this nature one step at a time, methodically. Ramadhi guided them, explaining what needed to be done. Bertha, meticulous in the minutest fractal detail, manufactured a mathematical inverse of the conjectured fundamental sound wave caused by the splitting of spacetime--a spacequake. It was an approximation to be refined and recalibrated once the real wave had been confirmed. The static geometric image was programmed into the seismic detector array. The two scientists set about sending instructions to their respective modules orbiting in deep space. With Ramadhi's supervision and input, the coordinated signal from the seismic detector was redesigned with memory-field energy interspersed at regular intervals, like engineering a microbe by splicing in fragments of genetic material. Additionally, it was wrapped within a coiled shell of fixed spatial elementals, their orientation directed inwards, to further mask it. Between the two, the signal could be transferred through the psychic universe to the timeless zone. Seeing through the lens of the memory field, the seismic sensor array will be able to detect fossilized sound waves incised into quantum space as thought-energy. "The object of the game," he began, standing directly before them, holding his cup in both hands, "is to find the fundamental wave in its memory dimension and revitalize it with psychic energy. That will bring it to the surface of spacetime where it can be neutralized by the imposition of a wave of opposite characteristics. An extremely complicated wave, to be sure. The mathematical anti-wave is given physical reality by its emergence from the psychic plane into the spacetime environment. Its relative size is then magnified to match that of the fundamental wave. At the quantum instant it emerges into actuality, as it was in the past, at that infinitesimal moment, the refined mathematical wave of anti-time elementals must be imposed on the fundamental frequency. The psychic energy of the fundamnetal wave, as manifest in quantum space, is then neutralized by properly aligned anti-time grains, one for each of its counterparts. This creates a timeless space around it. A cylinder of timelessness reverberating not only along the length of the crack so far, enwrapping it, but also into the future, repeating at each quantum instant the same process. The frequency will vary, to be sure, depending on the nature of the space it crosses, but timelessness will grow and the anti-wave will vary with it, adapting. The wave of destruction will die a natural death. "The neutralization will resonate across the surface of the universe and in all dimensions and directions, cascading downstream, negating all factors of the initial wave. Because of these missing pieces, the rest of its offshoots--its harmonics and overtones--will stumble over themselves and dissipate, becoming nothing more than segments, fragments of random noise, stray, diffused ripples disconnected from one another by timeless voids. It'll be like it never happened." He visibly checked himself when he said that last bit. Staring a hole in the floor, he said out loud, "Countless lives and planets and whole galaxies have already been lost; those closest to the tear. But the rest can be saved. At most, they'll experience a long series of mild fluctuations of time and space, which they can ride out without too much disruption. With distance from the crack, the disturbance will reduce in intensity to the point of normal spacetime fluctuations. Ambient magnetic fields will rein it in, forcing it to conform to their will." "But won't negating the initial wave affect those time sheets too?" asked Spinoza, suddenly confused. "I mean, if it never happened, then won't all that it's affected reappear?" "No. Each time sheet, each slice of spacetime, intersects with timelessness. Because of that, the negation will only occur where the wavefront is now. As the sequence of sheets progresses into the future, the wavefront will be farther along. That is where it will be stopped. What's done, unfortunately, is done." "Won't the wave be farther along in the future? A future where our galaxy no longer exists, quite possibly?" Without hesitation, Ramadhi replied, "That is most likely. The acoustic wave coming this way originated well behind where the crack is now, obviously. It all depends on where that is." Spinoza's eyes glazed over, Barnhardt fared no better. Ramadhi continued, "From the point of view of the origin of any shock wave--as the splitting makes its jagged way--yes, the wave has moved farther into spacetime, farther into the future. From the point of view of where the splitting is taking place, the sound wave is farther along in the past. Each separate shock wave has a past and a future, depending on perspective." He paused to sip coffee, delight in his eyes. "What we're most concerned with is that original wave, the very first one. Once it's neutralized, wherever the wavefront lies on all subsequent times will also dissipate. Once the wave is cancelled, your time will branch off into its own timeline. The cracking will continue, but without the harmful aftereffects. Each shock wave after the first will not have covered as much ground, and that one will be eliminated, and on and so on until the point of violent renting asunder is reached. Once the anti-wave reaches that point, and it shouldn't take long, there will be no more shock waves." Spinoza's seismic alarm went off again; he jumped to his feet to check it. Indeed, the preliminary waves were getting closer, less than half-a-billion light-years down the filament. The main brunt was still a long way off, and its power had yet to abate. Following shock waves continuously reinforced it. Inexorably, it came towards them. Ramadhi said, "Now. Put the wheels in motion." With that, he vanished. His cup broke when it hit the floor; they hoped that wasn't a bad omen. He returned to the psychic realm in order to guide the enclosed seismic signal to the timeless zone. Spinoza gave the command to the module orbiting far above. The search signal, accompanied by the Bertha-designed anti-wave, was sent out into quantum space. Almost immediately, its strength increased a thousand-fold, then a million, then went off the chart as it transited the inner dimension of the psychic universe. It was out of their hands now, the signal had but to be continuously propagated. Its identity disguised, the border of discontinuity between dimensions would thus permit transfer. Spinoza thought to monitor the seismic readouts, but it was way too soon to tell if they'd been successful. Coffee in hand, they retired to the rear of the lab where a rest area had been set up. A long, comfortable couch, two leather easy chairs, and a coffee table sat on a large print rug. It was now up to the search algorithm and Ramadhi's orchestration, controlling the signal and applying the antidote. Bertha, entangled in the timeless zone with Ramadhi, watched on this end, anticipating the right moment to impose the anti-wave. Hagard, they slumped in their chairs, staring at one another as though from a great distance. There was a lot to digest. New discoveries and insights into the nature of reality and the universe. Beings of pure thought able to manifest on the material plane, beings who apparently lived as long as the universe itself. Beings with memories, or composed of memories, of their own and personalities still vibrant. Beings with identities intact over billions of years. Overshadowed by the current crisis, all the questions concerning the matter-dominated era they could've asked had been relegated to the back burner. The opportunity gone, probably for good. And what of the universe dividing? Why does it do this? Evolution? If so, what era are they about to enter? What will be new and different? And what of the other half of the cosmos? Is this same scenario playing out there on some Earth-like planet? Is there another Ramadhi, an avatar, helping two unknown scientists try to save their world? Is that other half a duplicate of this one? And why is there no edge perceivable? What, after all, is an edge? Spinoza remembered he'd hidden a bottle of cognac in a cabinet in his private office down the hall. He retrieved it in an instant along with two glasses. Saving it for a celebration of some remarkable and earth shattering discovery, he couldn't imagine anything that could top this. He and Barnhardt raised their glasses to toast, their minds more alive than at any other time in their lives. Barnhardt said, "For better or worse, whatever the gods dictate, it's been one hell of a ride." They finished the bottle as the sun came up.